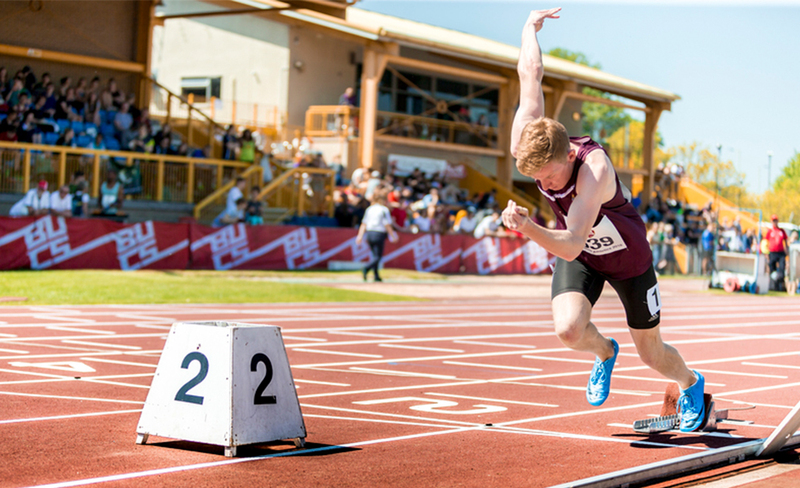 Charlie is a Sport Scholar and MSc student by research in Sport and Exercise Science. He won gold at his first major championship in 2013 for the 400m – he had only been running the 400m for a matter of months. 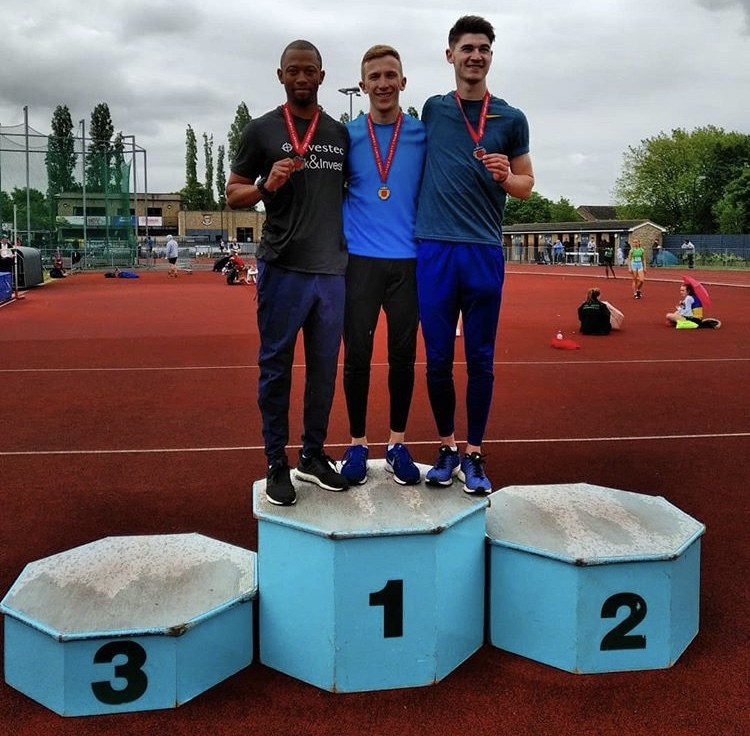 Since then, Charlie has gone from strength to strength and in 2017, Charlie won the East of England 400m gold for senior men, at the age of 20. Charlie has trained alongside Olympic and international athletes, including a London 2017 world championship bronze medallist. Following a hard winters work, I entered the indoor season with high hopes. However, during the season opening race at the Eastern championships I found myself fighting for the lead. As we approached the bend, I was forced to the outside of the track. This meant that I needed to work twice as hard if I wanted to pass the other athlete. On the straight I found myself ‘treading water’ and ended up being pushed back to 2nd place right on the finishing line. I treated this as a learning experience and used it to my advantage in the BUCS championships. In my heat, I found myself in third at the break and sat behind the two leaders as they battled it out. During the home straight, the commentator announced “Charlie Shingleton forced to run in lane three prevails” as I shot to the outside of both athletes to win, in a new indoor personal best. This gave me a confidence boost for the semi-final. I felt like I had a lot of energy still left in the tank. In the semi-final, I ran almost a second quicker, extending my indoor personal best. The first competition of the season was the race I was most anxious about. This, to me, would set the tone for the entire season. However, it was a dream start. I knocked an entire second off my outdoor personal best, with a finishing time of 50.27. All focus then turned to breaking that 50 second barrier. At BUCS I ran twice, both races completed in under 51 seconds. The consistency turned my racing nerves into racing excitement. As my old Jumps coach used to say “Consistency means a big performance is coming”. The County Championships were approaching and I knew some of the guys were great runners. Some of whom having broken that 50 second barrier. This was an opportunity for me to further reduce my time. I set off at a good pace and felt smooth down the back straight, building up to work hard on the top bend. I came into the home straight, neck and neck with two other athletes. Kicking hard, I was able to edge myself narrowly ahead and across the line, victorious. I was so focused on the race, I had no idea of my finishing time. My team mate, who finished second, told me that I had done it. I rushed back to look at the clock, my finishing time was 49.97. My family were in the stand on the other side of the track. I rushed over to tell them the great news. I was ecstatic! Taking gold, with a big sprint finish and to doing it with my first sub 50 was the greatest feeling ever! Being one of the youngest in the race, at twenty-one, was a huge confidence boost for the future. The next race I had was in the British League. I finished in 4th place and bettered my time running at 49.66. This is 1.6 seconds quicker than my 2017 best. In fact, every single outdoor race I have run, has resulted in a quicker time than my personal best the previous year. Another motivating performance was finishing 4th at Nationals in the semi-final with the top three all making the final. I put my season’s success down to the training and my mind-set. I am lucky enough to find myself in a group with some great athletes, including Olympians and international runners. The group and coaches support have improved my confidence and motivation to perform. Sessions are much nicer when you are within a group who cheer each other on to achieve more. It is down to this that I feel more relaxed before races. Instead of pre-race nerves taking over my thoughts I am much more confident and optimistic. 2019 preparation is now underway and again I find myself within an amazing and supportive group of athletes and coaches. Along with the support from the Christ Church Sports Scholarship I am aiming for an even bigger year to come. Have something to share with Christ Church Sport, or have any questions about this site, please get in touch.